While most have declared this a two-man race between Jose Altuve and Aaron Judge, I feel the true winner is Mr. Michael Nelson Trout. I’m sure at least one person is reading this, shaking their head at me; that’s fine, as I have zero issue with anyone picking Altuve and I at least understand the voters who picked Judge. But to me, Trout was head and shoulders above the rest this year, despite only playing in 114 games. If you want a real in-depth look at how and why I voted for Trout, go back to August when I wrote about Trout being amazing despite the 40 so games he missed in the first half of the season. I really broke down the how and why of this vote with that article, so let’s just recap some of the main points here. Trout led the league in On-base Percentage, Slugging, OPS, OPS+, and wRC+. This is all impressive considering the time he missed, but what really swayed my vote was Trout leading the AL hitters in Win Probability Added (WPA). Considering WPA is a stat that accumulates as the season wears on and factors in the change in Win Expectancy from one plate appearance to the next. It’s all about the opportunities you get and what you do with them, and Trout did better than anyone else in this category. The interesting aspect of that is those games missed, which should mean he got fewer opportunities, and more than likely he did. What it really tells us is that Trout did the most with those chances, leading the league with a 5.58 WPA. The next closest player? Nelson Cruz at 3.90. Altuve was 4th in the league at 3.74. Think about that for a moment: In 40 fewer games, Trout was a bigger factor in his team’s victories than Altuve, who had a fantastic season…and it isn’t even close! FYI, Judge came in at 17th, with 2.38. We all juggle with what “Most Valuable” means in MVP, and for me it is the guy who is giving his team the best chance to win. Mike Trout did that in his limited time in 2017 and for that he received my vote. Over the years, there appears to be a divide when it comes to a person’s opinion of Cincinnati Reds first baseman Joey Votto. If you believe a middle of the order guy should drive in runs and hit for power, you probably are frustrated by Votto’s patience at the dish and focus on just getting on base. If you are of the opinion that it’s all about not getting out and making sure you extend the inning for your team, then you probably love the guy. I am in the latter position and nothing speaks volumes about Votto’s true value than what he did offensively in 2017. If you love the black ink that shows up in the statistic category (which means a player led the league in that category), then Votto should be your man. He led the NL this year in Walks, On-Base Percentage, OPS, OPS+ and wRC+. You can probably also tack on 36 home runs, 100 RBI’s, 323 total bases, a slugging percentage of .578 and 7.5 bWAR. Offensively, Votto was a beast in 2017 and to add the cherry on top of this offensive sundae, he lead the NL hitters in WPA, 4.96 to Giancarlo Stanton’s 4.84. Some will poo-pah that Votto wasn’t on a contending team; I would counter with this being an individual award, so what the other 24 players do should have no factor into the winner of MVP. While Stanton put up monster power numbers and Charlie Blackmon had an amazing season out of the leadoff spot (and easily baseball’s best mullet), the true Most Valuable Player was Joey Votto in my eyes. The debate the last two months of the season was the two-man race for the AL Cy Young: would it be Corey Kluber or Chris Sale? What once appeared to be Sale’s award to win turned into Kluber’s gain, as he absolutely shoved the last two months of the season. In those last two months, Kluber threw 89 innings and produced an ERA of 1.42 and a WPA of 3.07. Batters only hit .172 against him in that span with a paltry .290 slugging percentage. Those two months were just the nail in the coffin, as Kluber led the league in ERA, Complete Games, Shutouts, ERA+ and WHIP. Sale held his on, as he lead in Innings Pitched and strike outs, but the stats tell the true story. Kluber lead in ERA+, 202 to 157. WHIP was 0.869 to Sale’s 0.970. WPA? 4.9 to Sale’s 3.7. WAR? Kluber 8.0 to Sale’s 6.0. While Sale made three more starts than Kluber, the gap wasn’t so wide that it would diminish Kluber’s accomplishments. At the end of the day, Kluber proved he was worthy of yet another Cy Young Award. Over the last couple seasons, there hasn’t been much discussion about who the best pitcher in baseball is. Clayton Kershaw was pretty much hands down the best and very few were putting up a fight. But during that span, Max Scherzer followed behind, nipping at Kershaw’s heels. While the debate will continue, the one definite is that Scherzer has just as much of a claim to that title in 2017 as Kershaw and proved himself worthy of this award. Scherzer has the black ink for the year, leading the league in complete games, Strike Outs, WHIP and Hits per 9. Kershaw lead in ERA and ERA+. But while Kluber and Sale’s numbers felt pretty far apart, Scherzer and Kershaw felt neck and neck. Scherzer beat Kershaw in WHIP, 0.902 to 0.949, while Kershaw beat Scherzer in ERA+ by a margin of 180 to 177. So to dig further, Scherzer easily beat him in WAR, 7.3 to 4.6, but WPA was much closer, 4.6 to 4.3. One wonders if Kershaw hadn’t missed those starts in the middle of the season, if this race would have turned out a bit different. Instead, Scherzer proved once again why might be the closest thing to Kershaw’s equal and why these two seem to battle it out for this award every season. But in 2017, Max Scherzer was the better pitcher. This award felt like a ‘Gimme’, as Judge was a dominant force for a large chunk of his rookie campaign. It was hard to read an article or watch a video without mention of Judge and his accomplishments this season and for the most part they were very deserved. Judge led the league in Runs, Home Runs, Walks and Strike outs. Judge’s 52 home runs (a new single season record for a rookie, breaking Mark McGwire’s 49 HR’s back in 1987) and 114 RBI’s spoke of a force in the middle of the Yankees batting order, while the walks showed the ability to show patience at the plate. Judge was different from many rookies, as this year was his age 25 season, which would explain a maturity not seen by many a rookie. While his contact rate was a bit low (65.1%, with league average being 80%) and the strike outs were high, Judge is no different than most of the power hitters that fill up major league rosters in 2017. To me, the most telling stat of Judge’s worth is OPS+, which sits at 171, second in the AL behind Trout. Since OPS+ is a statistic that adjusts to league and park effects, it means that despite playing in a very hitter friendly park in Yankee Stadium, Judge still raked like an elite hitter. That to me speaks more of his skills than a home run total, to be honest. While the sky is the limit for Judge, I worry about all the attention that the media bestows on him. I’m not a big fan of all the hype that the baseball media granted to him this year, but I get it. Judge had one of the best rookie seasons in baseball history and New York has been starving for a young power bat for years now. Judge more than deserves the honor of AL Rookie of the year but…what will his sequel look like? It’s not going to be easy for him to match what he did throughout this magical first year. If anything has been proven over the years, it is that the Los Angeles Dodgers might just have a ‘Rookie Tree’ near Chavez Ravine where they pluck healthy, fresh new talent from on a consistent basis. That tree continued to produce in 2017, as young first baseman Cody Bellinger came away with the NL Rookie of the Year award, the 18th Dodger to win that award. Bellinger now sits beside such notables like Seager, Valenzuela, Karros, Nomo, Sax, Mondesi, Newcombe, Sutcliffe, Howard, Piazza and the man who now has his name on the award, Jackie Robinson. Bellinger debuted on April 25th this year and from almost day one he punished baseballs. Cody hit 39 home runs (a new National League single season record for a rookie), 26 doubles and posted an OPS+ of 142. Bellinger lead the National League Champions in homers, RBI and slugging percentage while putting together a 4.2 bWAR season in his rookie campaign. Maybe the most impressive stat for him this season was a 4.3 WPA, good enough for 5th in the NL, ahead of MVP hopeful Charlie Blackmon and teammate Justin Turner. Bellinger had been a highly touted prospect for a few years now and he showed this year that there was a reason for the hype. Like Judge, Bellinger will now have to follow-up a splendid first season with the hope for even bigger numbers. Bellinger won’t turn 23 years old until next July but is already showing the patience and maturity of a 10 year veteran. It’s a lot of expectations for such a young player, but so far so good for Cody Bellinger. When digesting the numbers for American League relievers in 2017, it became very apparent that there was no dominant force like in year’s past. No Zach Britton, no Andrew Miller, no Wade Davis. But while digging in the depths, it did appear that Craig Kimbrel of the Red Sox had put together a stellar season that had flown under the radar. Kimbrel threw 69 innings, striking out 126 batters while posting an ERA+ of 319, three times above the league average. His strike out rate (49.6%) was the highest it had been since 2012 while his walk rate (5.5%) was the lowest of his career. His WPA was also huge, posting a 4.5 Win Probability while his Run Expectancy (RE24), which calculates the runs he saved, was the highest of his career at 28.0. Kimbrel also had a 1.43 ERA, which is great but fairly normal for a reliever of his caliber, but I was interested to see how the runs he did give up (which were 11 over those 69 innings) were scattered about. In August he gave up the most runs in one month (4), while May was his best effort, giving up none. Over the last two months of the season, Kimbrel pitched 25.1 innings, giving up five runs while striking out 46….and that wasn’t even his best two month stretch! While Andrew Miller and Chad Green both had great seasons this year, Kimbrel showed why he has been an elite closer since 2011. For anyone calling for his demise in 2016, Kimbrel showed this year why his career isn’t dead yet. While the American League relievers felt like a closer race, in the National League on closer stood out over all the rest and his name is Kenley Jansen of the Los Angeles Dodgers. Jansen was dominant in 2017: 68.1 innings, 1.32 ERA, 318 ERA+ with 109 strike outs. Jansen even posted a 2.9 bWAR this year, the highest of his career. But a couple other stats just blew me away for Jansen this year. Jansen allowed seven walks all year-long. Yes, 7…that is it. Which leads to another stat that blows my mind, which is his Strike out to Walk ratio: 15.57. Seriously, that number is just ridiculous. Finally, the most impressive statistic for Jansen in 2017 was his league leading WPA, 5.7. Not only did that number lead the NL, it lead all of baseball, even better than Mike Trout’s 5.58 in the AL. If there was ever any doubt that Los Angeles made the right move to re-sign Jansen last offseason, his spectacular 2017 warranted almost every dollar he earned. Those numbers speak as a dominant reason why Kenley Jansen is the NL Reliever of the Year. I know some don’t feel that the Manager of the Year award should just go to a team that outperforms expectations, but I think that is exactly why someone like Molitor deserves this award. Once the Twins started to excel, teams began to pay more attention to them and it caused Minnesota to revert the course they had been on. The team you saw in April wasn’t the same team there in September and it was for the better. While Francona lead his Indians to an AL Central title, he did so with pretty much the same roster he took to the World Series the year before. Molitor’s roster was revamped and a large chunk of the credit of their turnaround should be given to Molitor. He did what few expected and that is why he is my choice for Manager of the Year. Lovullo’s ability to incorporate analytics with his locker-room skills made him an instant success. He built a solid foundation in his first year and seems to have the Diamondbacks on track to compete for division titles and the World Series for the foreseeable future. The Diamondbacks now look like a consistent contender in the NL West and with their young talent they shouldn’t have to make many major moves in the future. Lovullo changed the atmosphere in the desert and for that he is the best manager this year in the National League. So there you have it, another season officially wraps up as we reward those that reached the highest of achievements. I did find it amusing that back in April when I made my season predictions I guessed only one of these correctly (Bellinger as NL ROTY, which felt like a slam dunk). It goes to show how hard it is to really guess what will happen during the duration of a 162 game season. It is a great honor that I get to vote every year like this and I can only hope I do a respectable part to show the value of an organization like the IBWAA. This is a game we all love and while we might squabble here and there on numbers, it really comes down to what you value. I can only hope 2018 brings us just as many highly contested winners. Here’s to baseball being back sooner rather than later. When the season began, there appeared to be some serious questions about the Kansas City Royals bullpen, a pen that once was the most dominant in baseball. In fact, Fangraphs had them ranked as the 28th best bullpen in baseball coming into the 2017 campaign. The first week of the season didn’t dispel any of the concern with the Royals relievers, as they struggled throughout the Minnesota series and were quite susceptible to the walk. But one bad week or one bad month do not make a season and luckily the Royals have righted the ship, to the point that there have been a number of surprising performances from the bullpen helping the team scratch itself back to .500. So what do all these numbers tell us? The Royals bullpen, while not dominating the way they used to, are coming into their own as the season progresses. If anyone is wondering why that is happening, you don’t have to look very far to see who is leading the way. Let’s start with the guy who has been the most efficient and (until recently), the most overlooked. Scott Alexander has been almost dominating this year, producing a 1.38 ERA over 26 innings, a 2.91 FIP and a 20.2 K rate. But what really has been astounding is his 76.1% GB rate, which is the highest of his professional career. All those ground balls can be attributed to a ‘lights out’ sinker, which some have compared (at least success-wise) to Zach Britton of Baltimore. Alexander’s production has caused manager Ned Yost to use him more in high leverage situations and don’t be surprised if he continues to be a main cog in this Royals pen. Peter Moylan has been a vital part of the bullpen since Day One this year, as he has been Ned’s ‘Go to Guy’ to get just a few batters out in tight situations. In 23.2 innings over 33 appearances this year, Moylan has a 3.81 FIP, 0.2 fWar and a 22.3 K rate. While his ERA is a bit bloated (6.46), his soft hit rate of 33.8% is the highest of his career and his WPA is sitting at a crisp 0.71. Moylan’s Left on Base % could see some improvement, but for the most part he has done what Yost has needed from him this year, which is to come in and extinguish fires. The Royals weren’t for sure what they had with Mike Minor in the pen coming into the season, especially since he had been a starter his entire career. But so far he has been a welcome addition to the Royals bullpen. In his first year of relieving, Minor has posted a 1.93 ERA, a 2.47 FIP, 1.0 fWAR and an 82% left on base percentage. He has put up a solid 17.9% K-BB ratio and has seen his soft hit rate go up (29.2%) and his hard hit rate go down (24%), both career highs. One of the keys to his success this year has been his use of his slider, which he is using at 38.7% clip, easily the highest of his career. At one point it appeared the Royals might deal Minor come the trade deadline, but with the Royals back in the race he is probably more likely to be a key arm for Kansas City down the stretch. His strikeout rate was decent, but his walks went up and he gave up a bunch of homers, getting worse as the season went on. The homers probably should come down a bit, but that still won’t make him the pitcher whom the Royals thought they were getting before last season. The home runs have gone down…but more than a bit. So far this year, Soria has yet to give up a home run (knock on wood) over 30 innings of work. If you believe he will assume about the same workload as last year, he is almost half way to his innings total of 2016 and has not given up a long ball. Last year, he gave up 10 round trippers. While Soria is still not the guy who was a consistent All-Star in Kansas City (and no one should expect that from him), he has been the perfect set-up man who the Royals envisioned he would be when they signed him back in the Winter of 2015. You might have noticed I hadn’t even mentioned closer Kelvin Herrera yet, and there is a reason for that. Herrera has had his struggles this year but number wise, nothing major really stands out. In fact, his hard hit rate going up and the increase in home runs is the only big slight on his mark this year. He is still striking out people at a rate close to normal, and still walking about the same amount as well. The one aspect of his game that is different is the contact rate, which makes sense if you are someone who has watched many of his outings. Herrera has had an issue of getting behind in the count this year, leading him to leave a few pitches out over the middle of the plate. Herrera’s Z-Contact % (pitches hit inside of the strike zone) has seen a slight tick up this year (83.9 from 78.6% in 2016). In fact, Herrera has almost been too precise, leaving pitches inside the zone that normally he would leave just off the outer edges. This past week he has looked better, where his pitches have been either outside or inside and normally down, rather than down the middle. There is no reason for alarm, but more than anything other teams should worry; Herrera can (and my guess is he will) improve in the second half. Before the season started, I would discuss the Royals relievers and mention the same thing: what you see in April/May won’t be what you see by September. So far this year, Chris Young has been ousted, Matt Strahm has moved to the rotation and Kyle Zimmer has been pitching in relief down in AAA. If Zimmer gets the call, it could bolster a group of arms that have been steadily increasing their production month by month. I’ve had to stress to Royals fans these last couple seasons that the bullpens Kansas City had in 2014-15 were not normal. Having a pen that is THAT locked in is not the norm and only really comes along once in a blue moon. You shouldn’t expect the Royals relievers of today to be as dominating as they were with Holland and Davis leading the charge. But what they have now is a healthy substitute that we should be comfortable with during the team’s final three months of the season. Weeks later and I still have a hard time figuring out how Buck Showalter went the entire American League Wild Card game without bringing in stud closer Zach Britton. Look, I get that most managers like to wait (especially on the road) till the very end of the game to bring in their closer, but when the playoffs are involved, you don’t chance it the way Buck did. There has been a movement for managers to use their closers in a different manner than most are accustomed to; not waiting for a save situation and using your best pitcher in the most high leverage situation possible. Showalter, who I consider to be one of the best managers in the game and one who isn’t shackled to conventional thinking, seemed to fall back into a frame of mind that is actually fairly normal in today’s game and it might have cost his team the chance to advance to the ALDS. The hope is that Showalter’s mistake (and yes, it was a mistake) might shine a light on reliever usage and force managers to use their closers in better situations than just the 9th inning. On the other end of that spectrum is Terry Francona’s use of Andrew Miller this postseason. Miller, the ALCS MVP, has been used as early as the 5th inning during the playoffs, many times for multiple innings. It might be considered unorthodox by some, but it has done nothing but garner success for Francona and the Indians. One has to wonder if teams will be on the lookout for relievers like Miller, someone with electrifying stuff and the ability to be used for more than just one inning at a time. While the argument could be made that you can’t use your bullpen during the regular season the way most teams do in October (and there is at least some truth to that), it doesn’t mean that you won’t see more managers trash the old, antiquated system and start using some relievers the way Miller is used. While Showalter was the example of what not to do with your closer, Francona is the example that managers around the game should be trying to copy when 2017 rolls around. The Texas Rangers collapse in pitching took me by surprise this month. I figured with the front two of Cole Hamels and Yu Darvish and a bullpen that had been racking up a 35 inning plus scoreless streak, this team could be a dangerous one in the playoffs. Instead, Rangers pitching gave up 22 runs in three games and the team from Arlington limped out of the playoffs. While some of the credit should go to Toronto’s offense, the Rangers pitching should get more of the credit for the Blue Jay’s sweep than anything else. One would have to think that Texas will spend the offseason fortifying the rotation and making sure it is stronger headed into the next season. Speaking of the Blue Jays, their exit from the playoffs couldn’t have come in a more appropriate manner. For a baseball fan outside Toronto, this is a hard team to like. 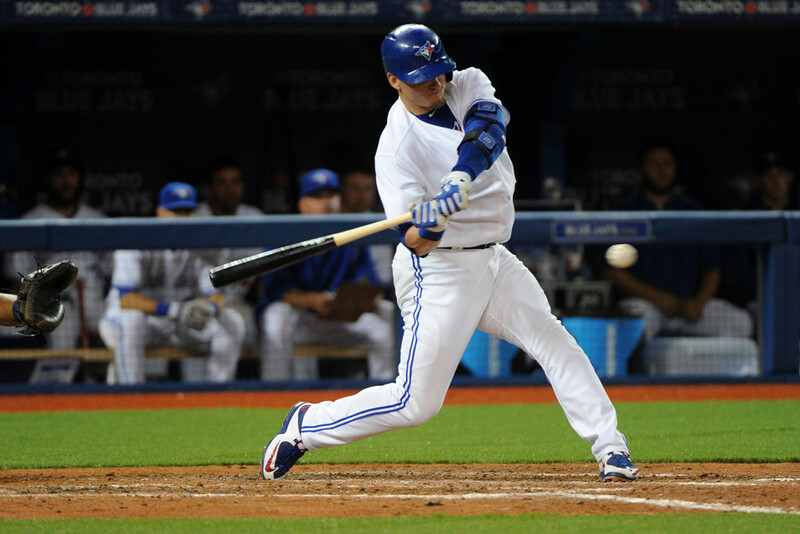 While they are not short on talent, over the last few years we have seen the Blue Jays main hitters continuously whine and complain about one thing or another. Front and center has been Jose Bautista, a man who will never be confused with a golden gloves boxer. Bautista claimed that Toronto were victims of “circumstances” in this series and that was why their offense had gone south. Edwin Encarnacion also had to be escorted away from the home plate umpire one game, with Toronto just hopeful he wouldn’t be ejected. While there were a few pitches called strikes against the Blue Jays that might have been balls, that is a fairly common aspect of today’s game and not really something worth blaming their four games to one loss in the ALCS. In fact, Cleveland only scored 12 runs in the five games, with Toronto posting 8 runs. All the way around, it was a low scoring series. The real “circumstances” that Bautista talked about was Cleveland’s pitching and their dominance against Toronto’s bats. Kluber, Merritt, and Tomlin all silenced the Blue Jays and when you tack on their lockdown bullpen, it was easy to see why Cleveland is headed to the World Series. A big part of Toronto’s issues lie in their leadership and their tendency to make excuses rather than owning up to their own struggles. The Blue Jays temperament just isn’t one of a championship team, and it showed in the ALCS. Has there been a more disappointing team in the postseason the last few years than the Washington Nationals? The sky seemed the limit a few years back with their blend of youngsters and veterans and two of the most intriguing players in the game (Bryce Harper and Stephen Strasburg). Instead, since 2012 the Nationals have lost in the NLDS three times. What very well could have been a dynasty has left this organization with more questions than answers. If you are Washington’s braintrust, what should you think? If you saw a team with Harper, Strasburg, Max Scherzer, Anthony Rendon, Daniel Murphy, Trea Turner and Tanner Roark, you would have to think at the least they would have made the NLCS at least once. Instead, this team now has to regroup and wonder what the missing piece is. Last year, the belief was getting rid of Matt Williams and hiring Dusty Baker would fill that needed puzzle piece. Is it the manager? Does the team need another bat? Another stud starter? Or do they need a clubhouse veteran to be this team’s glue? It will be an interesting offseason in Washington and one that might define this team’s immediate and long-term future. There is no better story in the playoffs this year than the Chicago Cubs. You’ve all heard the numbers on the years of futility; their last world championship was 1908, last trip to the World Series was in 1945. Last month I mentioned I was rooting for the Cubs but even if I didn’t have the emotional connection from my youth, I would probably still want to see the Cubbies rack up their first world title of the century. It’s not just the years of bad luck and bad teams, not just the old lovable stadium or long history of the franchise in general. It is a change in the culture in Chicago, brought forth by both Theo Epstein and Joe Maddon. Maddon might be one of the great motivating managers of the last 30 years, if for no reason than how loose he keeps that clubhouse. Add in the mix of exciting youngsters and grizzled veterans and you have a recipe for not only a championship but also possibly a dynasty. I found it ironic that Chicago bounced the Dodgers from the playoffs, since the Cubs should probably thank Los Angeles for putting them in this position in the first place. If not for LA prying Andrew Friedman from the Rays, the Cubs would not have been able to get Maddon to manage this team. Maddon had a clause in his contract that allowed him to “look elsewhere for employment” if Friedman left the organization, which he took advantage of when Andrew left Tampa for Los Angeles. The Cubs swooped in, procured the services of Maddon and as they say, “the rest is history”. There are many a reason to root for Cleveland as well (The Revenge of Willie Mays Hayes? ), but more than anything, this Cubs team just feels like a team of destiny. I know there will be Chicago fans who will be waiting for the other shoe to drop but…but what if there is no other shoe? Andrew Friedman on Clayton Kershaw's back injury: "Most guys would not have come back at all from what he suffered." That comment was from Saturday after the Dodgers loss to the Cubs to wrap up the NLCS. This also tells me that even 80-85% of Kershaw is probably better than most pitchers alive today. So the narrative for him will live on in some minds, but it probably shouldn’t. Clayton Kershaw is still the same pitcher in October that he is the other months of the year; he’s just not perfect like some would expect from him. So here we are, just a day away from the World Series. It is also our reminder that at the most, we have only seven games left in this 2016 season before baseball takes a few months off (at least on the field). It has once again been a fun October, even without my Royals in the playoffs. In fact, it has been stress-free without my team to cheer on in the playoffs. No matter the outcome of the World Series, one team will slay a beast of a streak, one that sits at 68 years while the other one sits at 108 years. It should be a fun series, as we should see some stellar pitching and some clutch hitting. I always hope for a seven game series, so we get not only the greatest amount of baseball but also some high drama. We should get both and yes, I do believe this series could go all seven. So my prediction? The Cubs in seven. Sure, they won’t be able to clinch at Wrigley Field, but a win is a win. I look forward to the next week of action and what will ensue. No matter what, we the fans are the true winners. Thank you, baseball. Over the last couple months, there has been quite a flurry of discussion about Houston’s Jose Altuve and him being the front-runner for the American League MVP award with the magnificent season he is having. Boston’s Mookie Betts has also moved himself into the conversation, posting amazing numbers in his age 23 season. Both players have been producing at an elite level this year and it could be a battle down to the wire for the MVP award. Only issue is that there should be a third member in this discussion, someone who has been here before and has also posted stellar numbers this year. His name shouldn’t be a shock; it’s Mike Trout. The numbers for all three are worthy of the American League’s biggest prize. Altuve is hitting .363/.425/.575 with 20 home runs, 83 RBI’s and an OPS+ of 173. Altuve is leading the league in batting average, hits and OPS+. Betts numbers are a bit lower, but comparable: .313/.353/.555 with 28 home runs, 89 RBI’s and an OPS+of 133. Betts leads the league in at bats, runs and total bases. Trout’s numbers? .309/.427/.543 with 23 home runs, 77 RBI’s and OPS+ of 167. Trout is leading the league in walks and on base percentage. Just perusing these numbers it would appear Altuve probably has the best overall statistics, but a case could be made for both Betts and Trout. In fact, Trout’s numbers, while slightly below Altuve’s, match up quite well with Jose’s so far this year. It would only make sense for us to take a deeper look at the numbers to see just how close Trout, Betts and Altuve really compare. No conversation is fully complete without a deeper, sabermetric slant to it. Looking at fWAR, Trout has a very slight edge over Altuve, 6.9 to 6.8. Betts is fourth in the American League with 5.9, with Toronto third baseman Josh Donaldson sitting in third place at 6.4. Trout has the highest walk % and strike out % of the three, while Betts has the higher ISO(isolated power). Looking at their hard hit rate, Trout is second in the league with 41.2%, Betts at 35.2% and Altuve is sitting at 34.4%. Not a big surprise, considering Altuve is leading the league in singles(119) and those are normally of the softer hit variety. I decided to delve a bit deeper, since I wanted to see just what type of category each of these hitters fit into. Altuve had the highest O-Contact %(percentage of pitches a batter makes contact with when swinging outside the strike zone) with 78.3%, 5th best in the league. Trout was at 71.1% and Betts clocked in at 69.2%. When it comes to Z-Contact %(percentage of pitches a batter makes contact with when swinging inside the strike zone), Betts is 2nd in the league with 95.3%, Altuve at 91.4% and Trout at 85.9%. To me, this made total sense; Altuve has long been known as a hitter who likes to swing at pitches outside the strike zone and is infamous for dunking a single to the opposite field by slapping a pitch outside the strike zone away from defenders. Betts has the highest contact rate of the three (86.9%) and is actually fifth in the league when it comes to making contact. His numbers tell me that once he sees a pitch within the strike zone, he is swinging and making contact. He also has the lowest walk % of the three, walking only 6% of the time. It also made sense that Trout would be making the least amount of contact, as he has the highest strike out rate of the three, plus the highest walk rate. That tells me he is the most patient of the three and that can lead to both walks and strike outs. These numbers all tell an interesting story, but there is one more stat that needs special attention. Win Probability Added (WPA) captures the change in Win Expectancy from one plate appearance to the next and credits or debits the player based on how much their action increased their team’s odds of winning. Most sabermetric statistics are context neutral — they do not consider the situation of a particular event or how some plays are more crucial to a win than others. Alright, so how you feel about this stat depends on how much weight you want to put into a single play, from inning to inning. I lean toward it having stock, but there are so many variables to it and is purely a context driven statistic that it wouldn’t ever be my “end all, be all”. That being said, it does determine importance, so it does help in this argument on the importance of each player in their team’s success. No shock to me, Trout is tops in the American League at 5.03. The Angels have struggled throughout 2016 and any success they do have in many ways can be attributed to the “Best Player in the Game”. Altuve is 5th in the league, with a WPA of 2.91, while Betts is 14th with 2.24. Hey, all three are in the top 15 of the league, so it is quite easy to see their value. But Trout thumps the competition in this category, 2.12 higher than the runner-up Altuve. So after this, who is your front-runner for AL MVP? Altuve is going to be the popular vote at this point and the numbers show someone who is worthy. Like everyone else, I love watching him play and as a short guy myself, I can’t help but root for him. That being said, I think there is an argument for Mike Trout, and in fact I might lean a bit more toward him. Just because he is playing on a losing team doesn’t mean he is unworthy of being the league’s MVP. In some ways, one has to wonder just where the Angels would be without Trout. There is over a month before votes have to be turned in, and as I learned a couple years ago, making a pick weeks in advance is a silly mistake. This race could go right down to the wire and very well could be a pier six brawl for the MVP trophy. Much like in 2012 when both Trout and Miguel Cabrera were worthy winners, this year looks to be much the same. There might not be a wrong choice, but more than likely there will be a better choice. Right now, it looks to be Mike Trout.